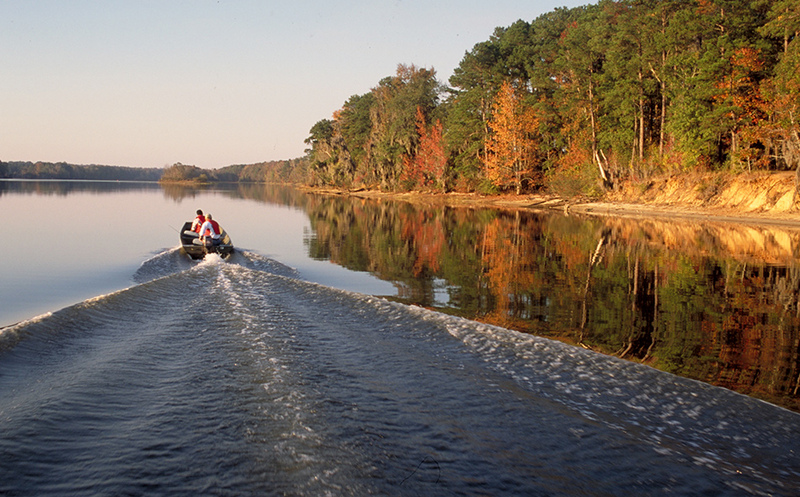 Sitting at the northern end of 45,000-acre Lake Walter F. George (also called Lake Eufaula) this quiet park offers the perfect getaway for those who love water sports. It is adjacent to a natural deep-water marina with an accessible fishing pier, boat slips and boat ramp. Overnight guests can choose from a variety of accommodations, including fully equipped cottages, small efficiency units and a modern campground. Florence Marina is popular with nature enthusiasts as well. Birders are likely to see herons, egrets and even bald eagles. The Kirbo Interpretive Center showcases area wildlife and plants, local history and Native Americans, including artifacts from the prehistoric Paleo-Indian period through the early 20th century. Ten miles southeast is Providence Canyon State Conservation Park, known as Georgia’s Little Grand Canyon.